It's been several months in the making, but the brand new Olympic Coast exhibit is now open and its star resident has arrived! 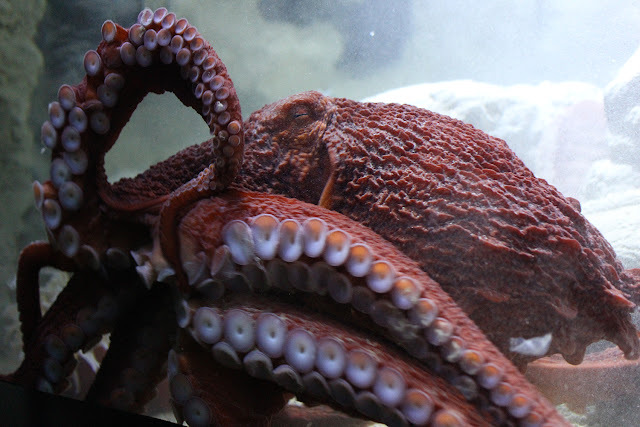 The debut of the octopus and her new home is just one part of the exciting Tentacles Take Hold program that will officially launch throughout the Aquarium tomorrow, April 15 — just in time for April school vacation. The giant Pacific octopus immediately started exploring the exhibit. 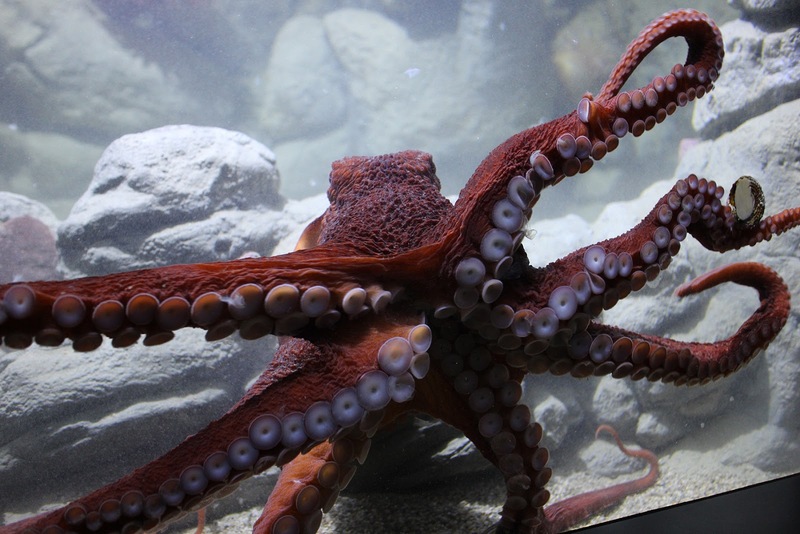 This video captures the very moment the octopus makes her grand entrance to her new exhibit. After aquarist Bill Murphy gently opens the lid to her transport barrel, she slides out to a round of applause! Visitors and staff alike were lined up to witness the moment. She then explored all corners of the exhibit and finally settled down into a nook up front to rest after all her travels! The aquarists believe that the new arrival is a female, they will carefully observe the octopus in the next couple days to make a final determination. They can tell by the number of suckers on one of the arms whether it is male or female. Do you know how many suckers a giant Pacific octopus has on its body? Have you met their tiny cousins, the red octopus? Have you ever seen a cuttlefish snap its tentacles around a snack for a quick meal? 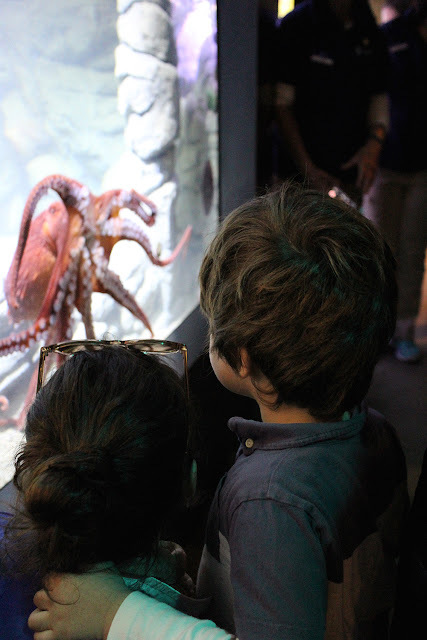 These are just some of the things you can explore, learn, and see when you visit the Tentacles Take Hold program at the Aquarium. Buy your tickets today.